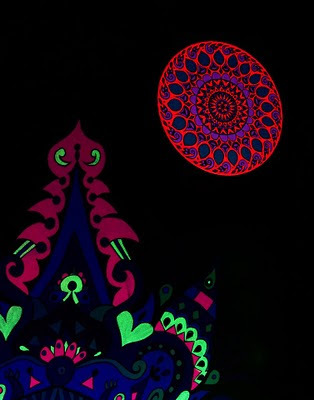 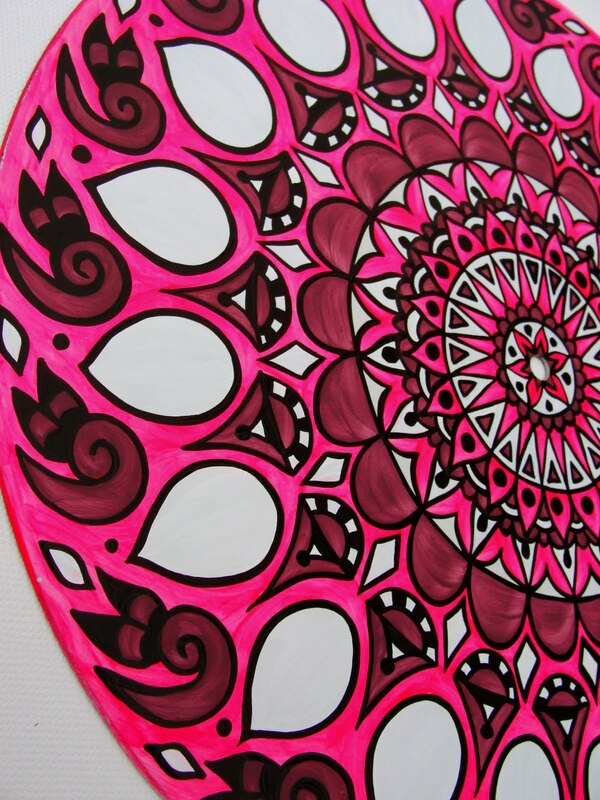 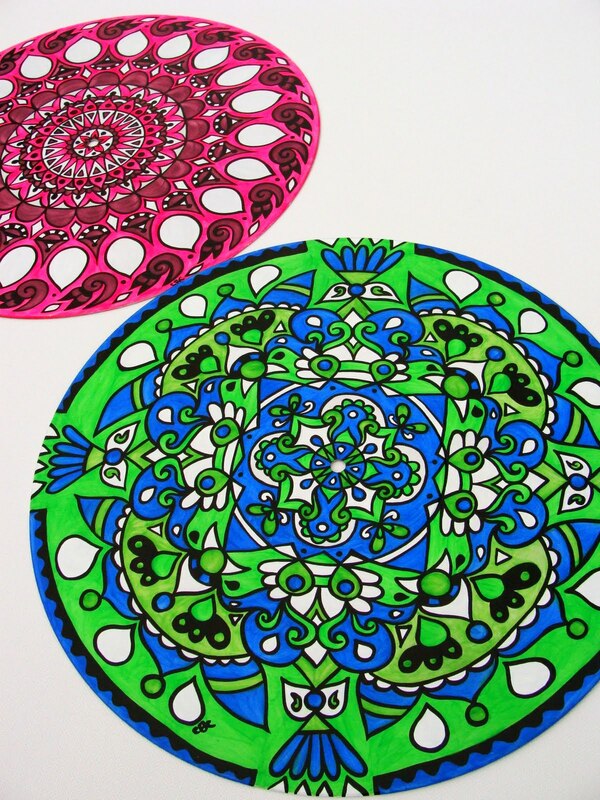 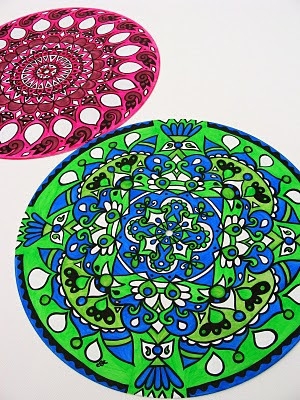 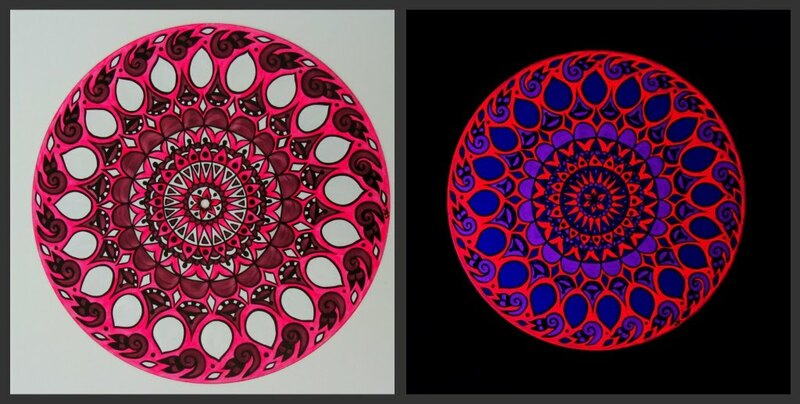 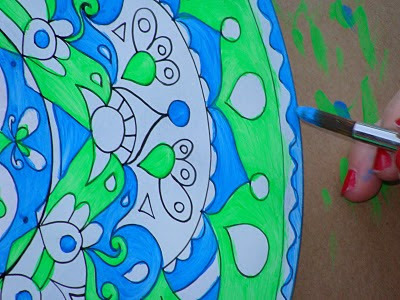 As promised, here are some more photos of my outrageous black light mandalas! All of these are painted on the walls and ceiling of the master bedroom in my house, which is my studio and office too. 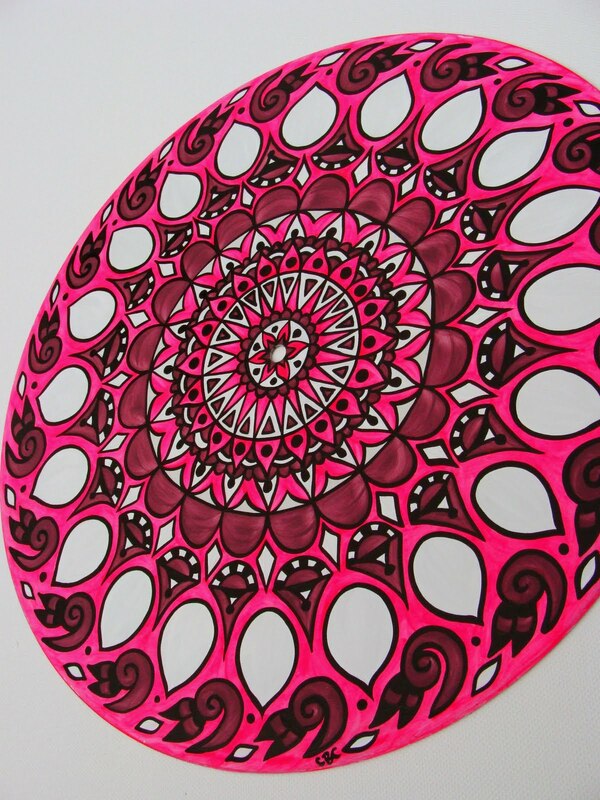 This one was designed to frame a mirror. 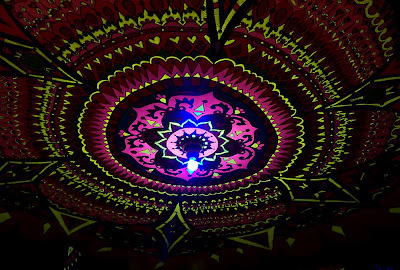 Many thanks to Kaila Haas for the great photos! 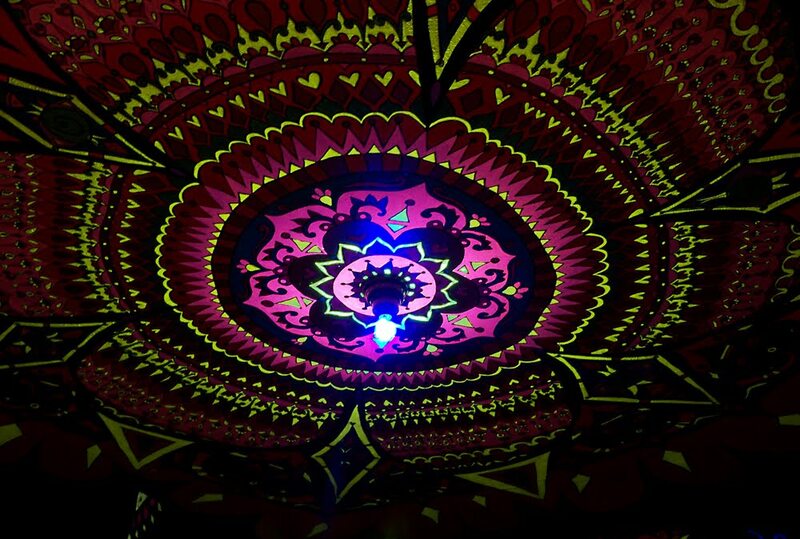 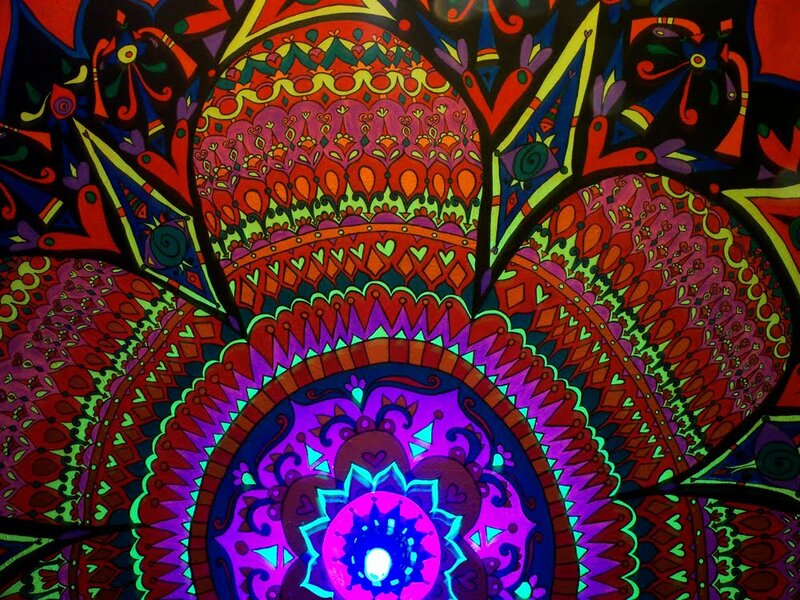 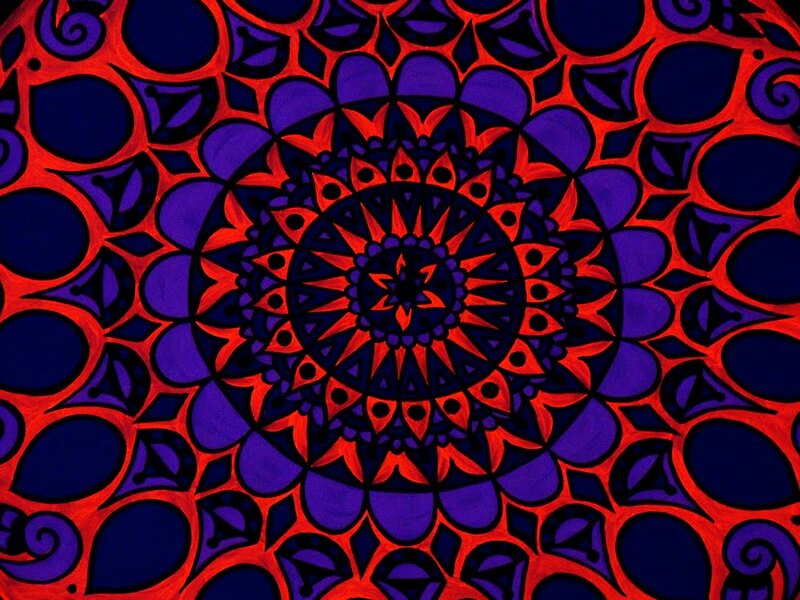 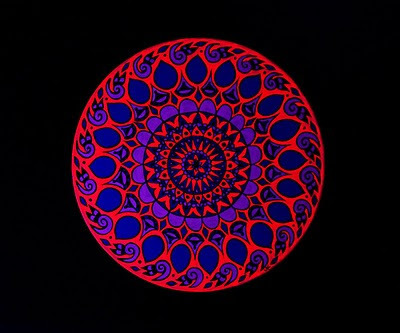 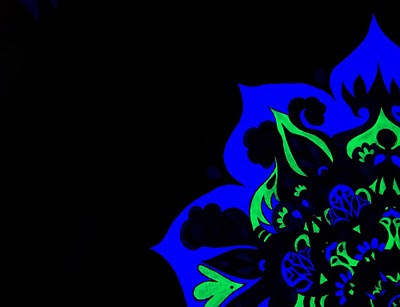 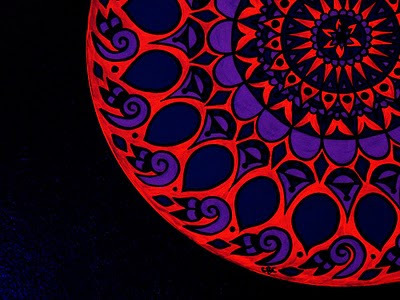 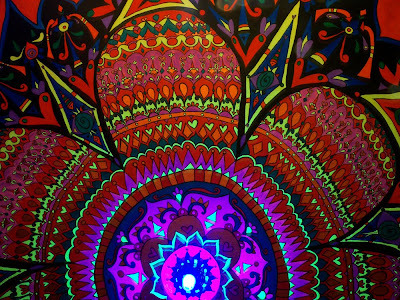 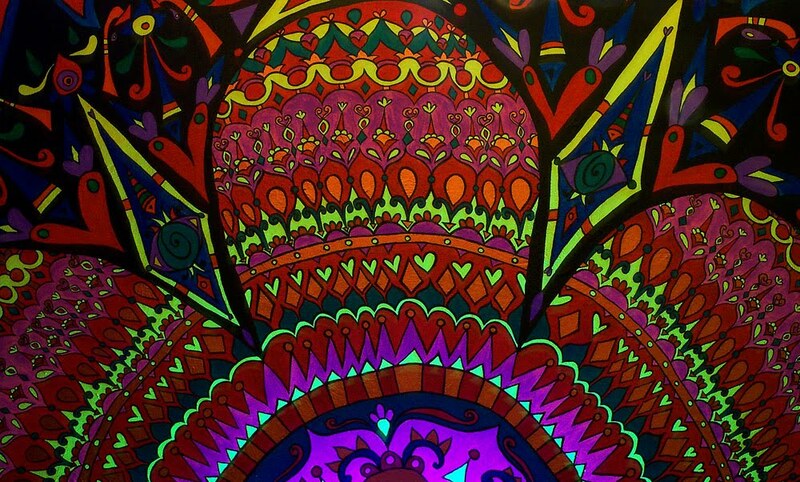 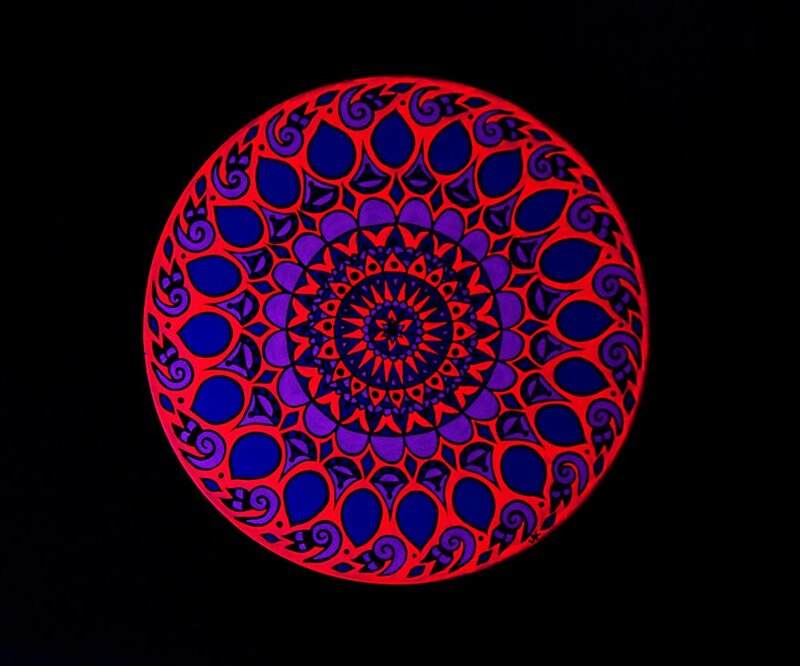 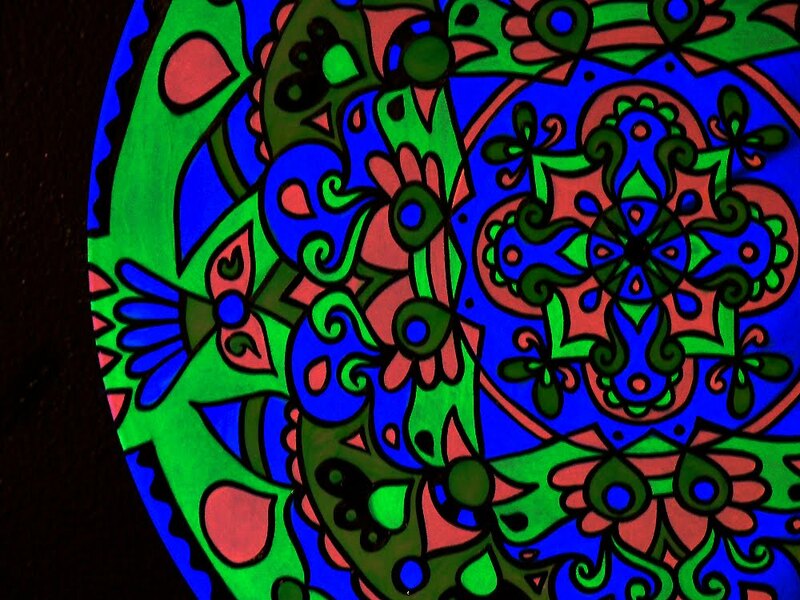 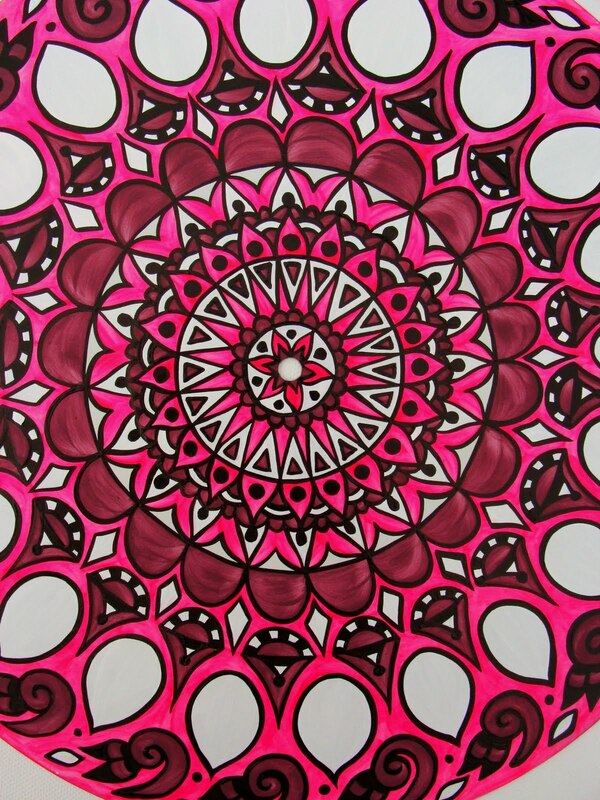 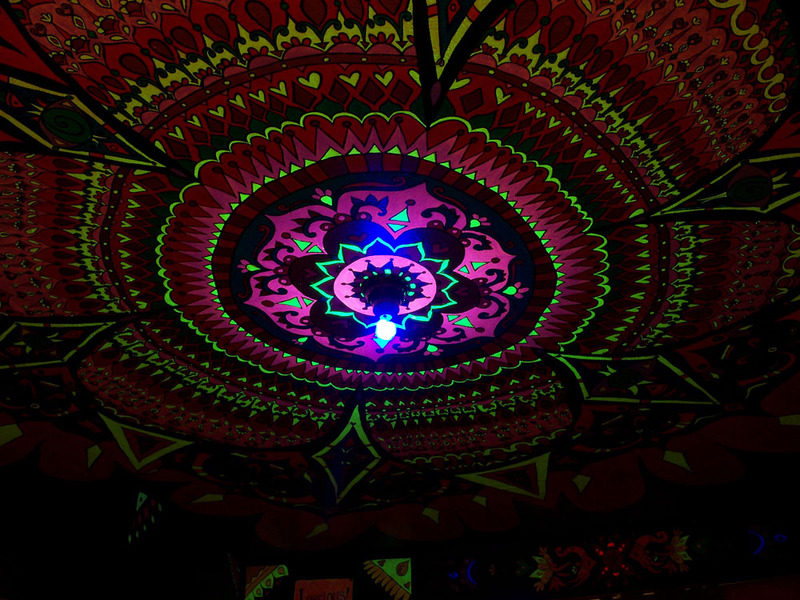 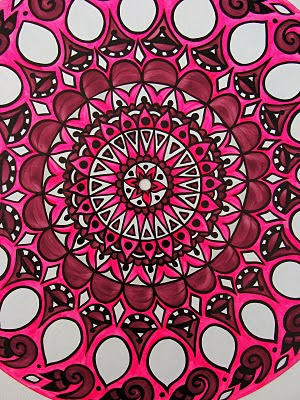 Say hello to groovy black light mandala #2, Ultraviolet! 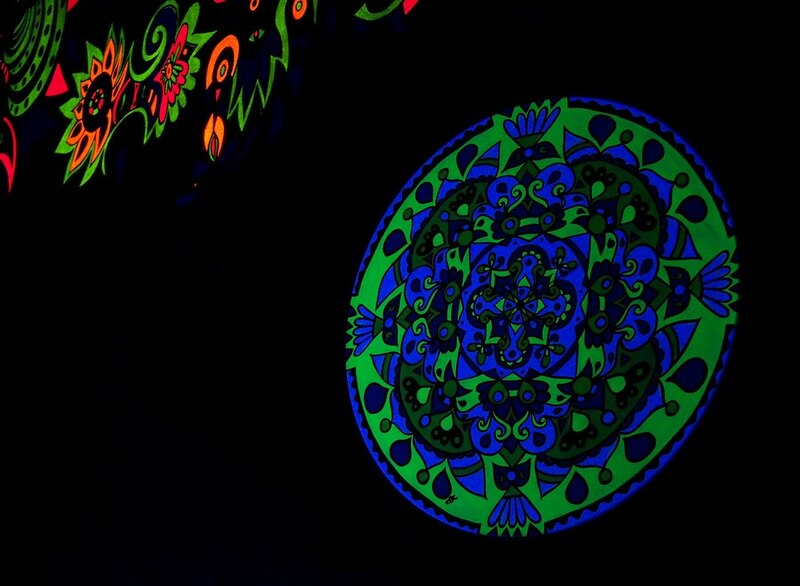 These last two photos show you a little sneak peek at some of the amazing fluorescent murals I've painted on the walls. I have more great photos of the murals and will share them in another post! 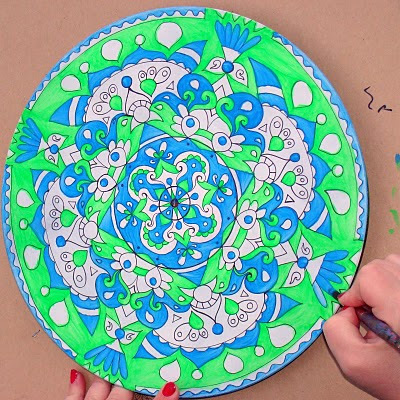 I've been painting mandalas on vinyl records since 1997. 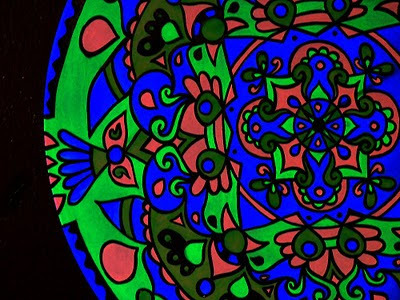 In the many years before I had any such thing as a digital camera, a blog, a facebook page, and all that good stuff, I was never able to really share my art with the world. 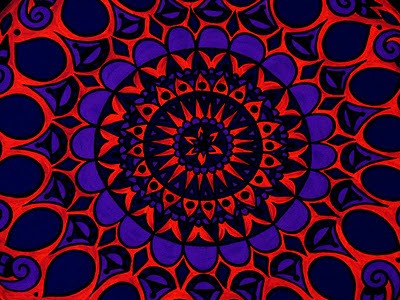 Since entering this modern age, I've shared a-plenty. BUT...I had a little secret...a little card up my sleeve. 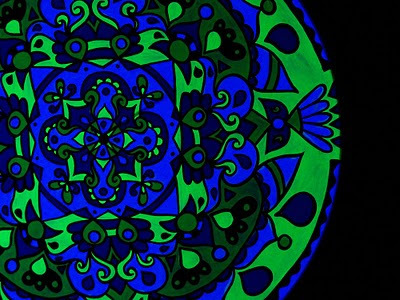 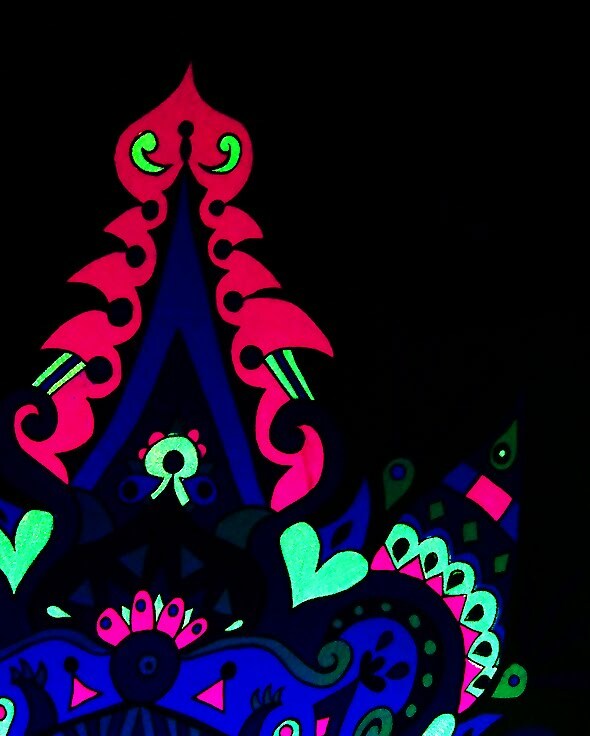 You see, many of my paintings glow in the dark, and/or glow under black light. 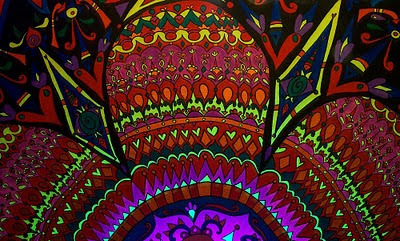 But I could never show you what that looked like. Even when my mural-filled bedroom/studio was on HGTV, they never showed the hidden underlying fact that the entire room glows in the dark. 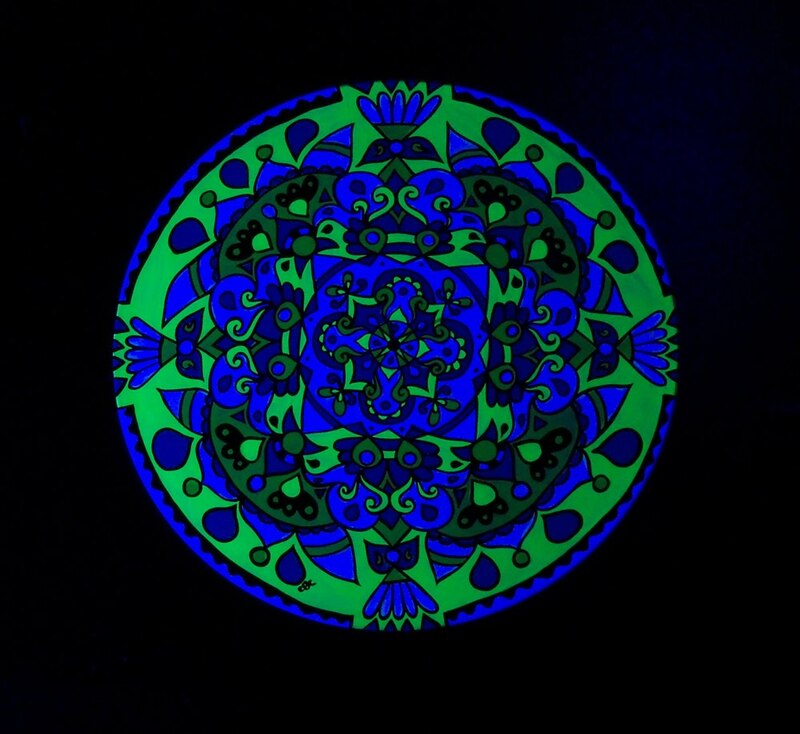 You may like my work, but you really haven't seen it until you've seen it under a black light. 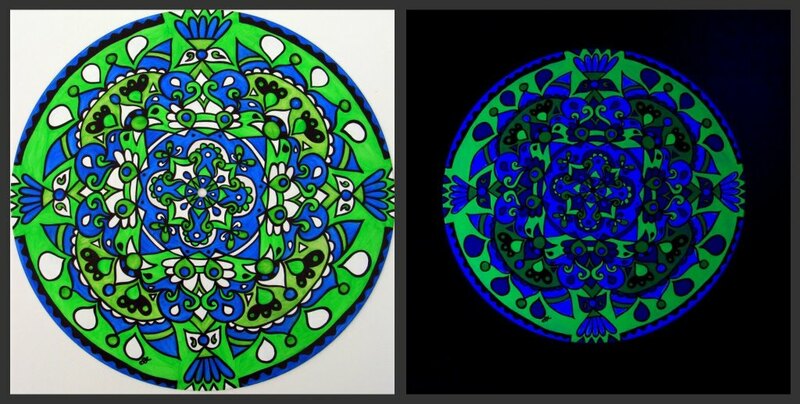 And now, finally, at long last, I have pictures of my work in black light!!! I'm so excited about this. 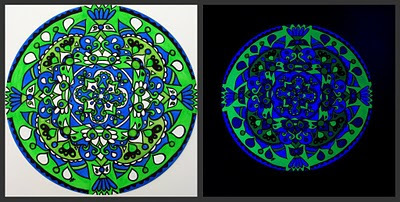 It is really great that after all this time, my own work can still surprise and delight me. 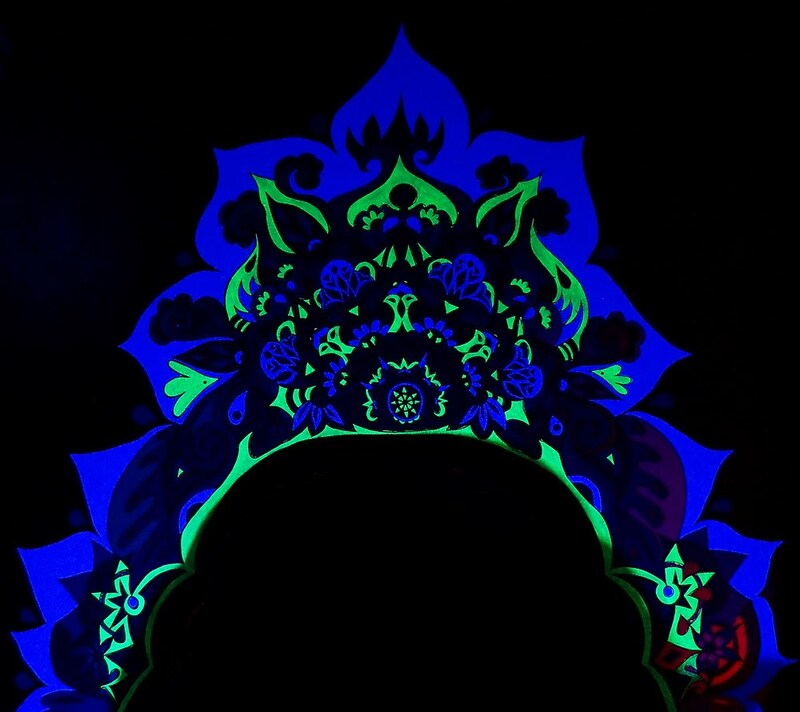 I look at my glowing art every night, but I have never been able to look at a photo of it before, and being able to share these photos makes me feel like I've just created all of this work all over again. 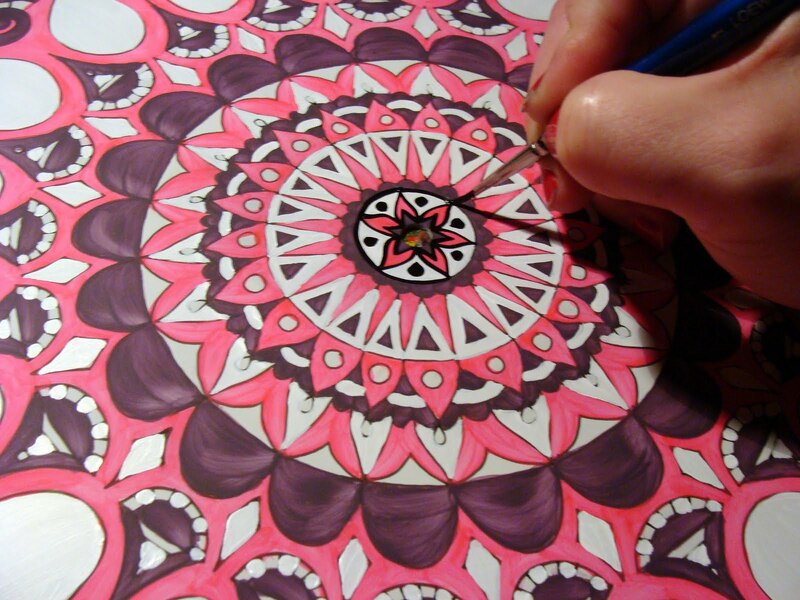 You know, that satisfying feeling of having created something new and beautiful. 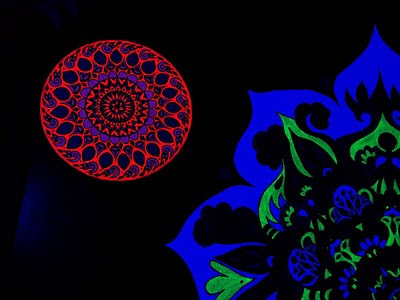 These black light photos were taken by my friend Kaila Haas, who patiently set up her killer tripod in about 100 different configurations and waited approximately 16 seconds for each exposure. 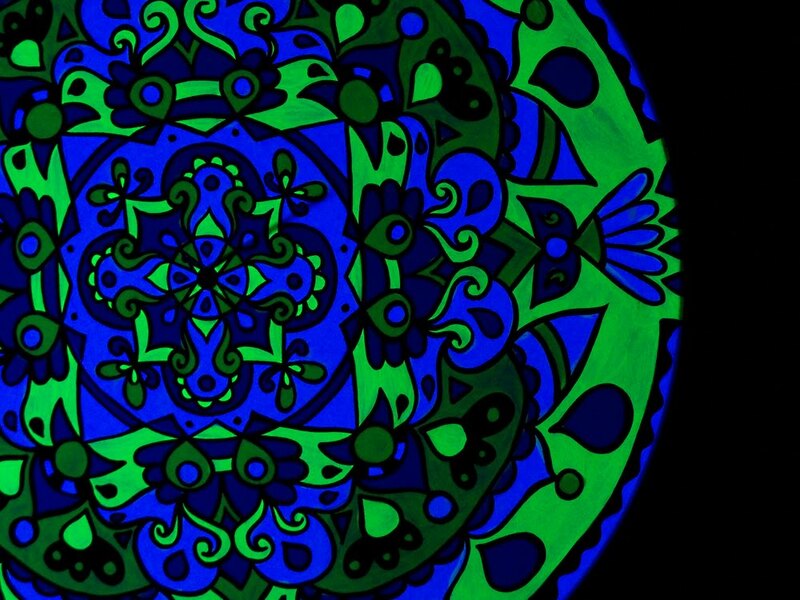 It was a long but fascinating series of 16-second intervals, and the results are fantastic! 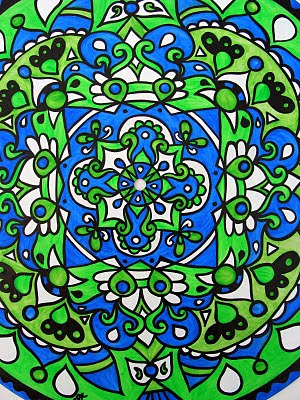 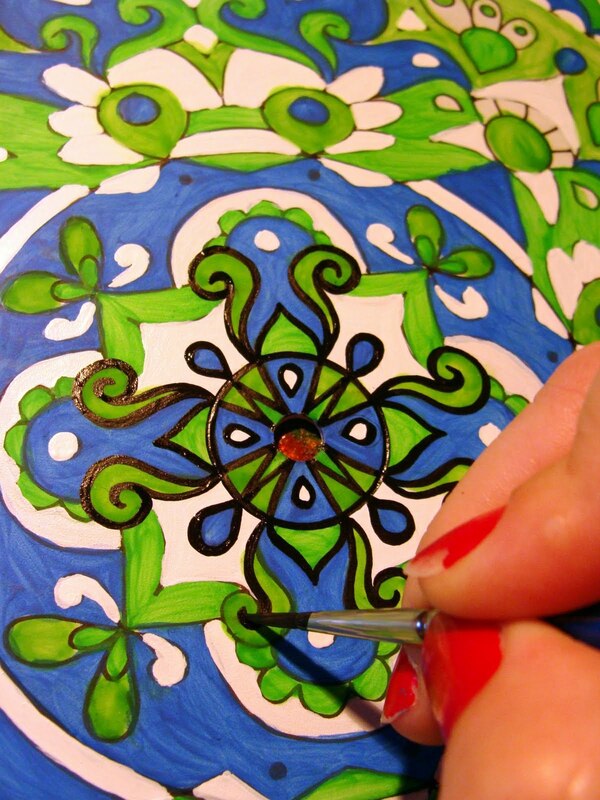 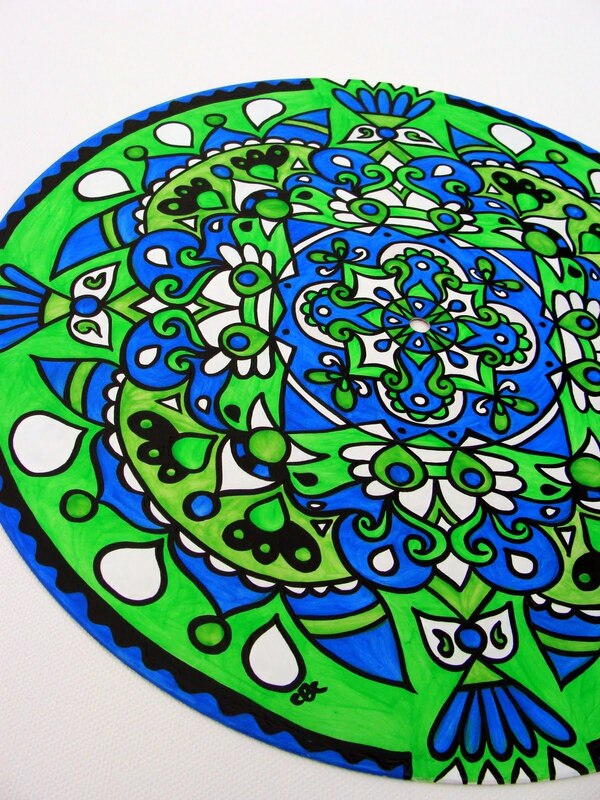 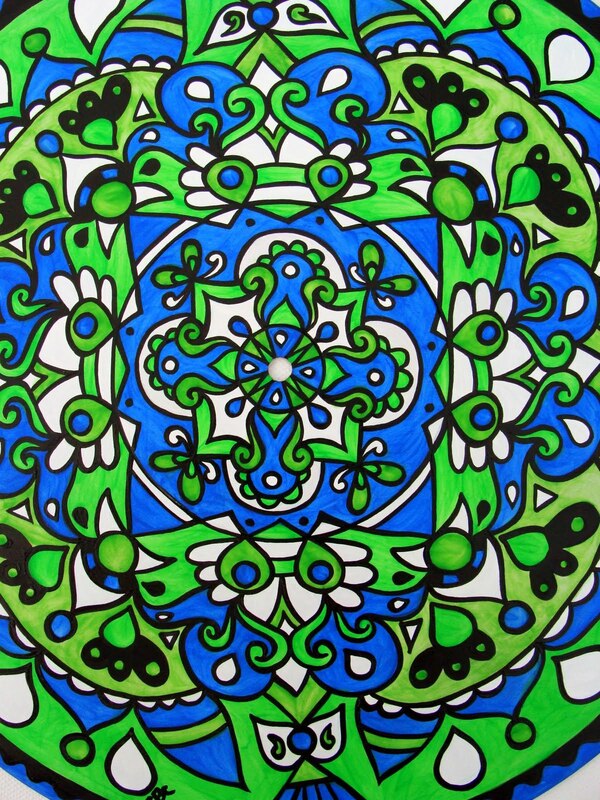 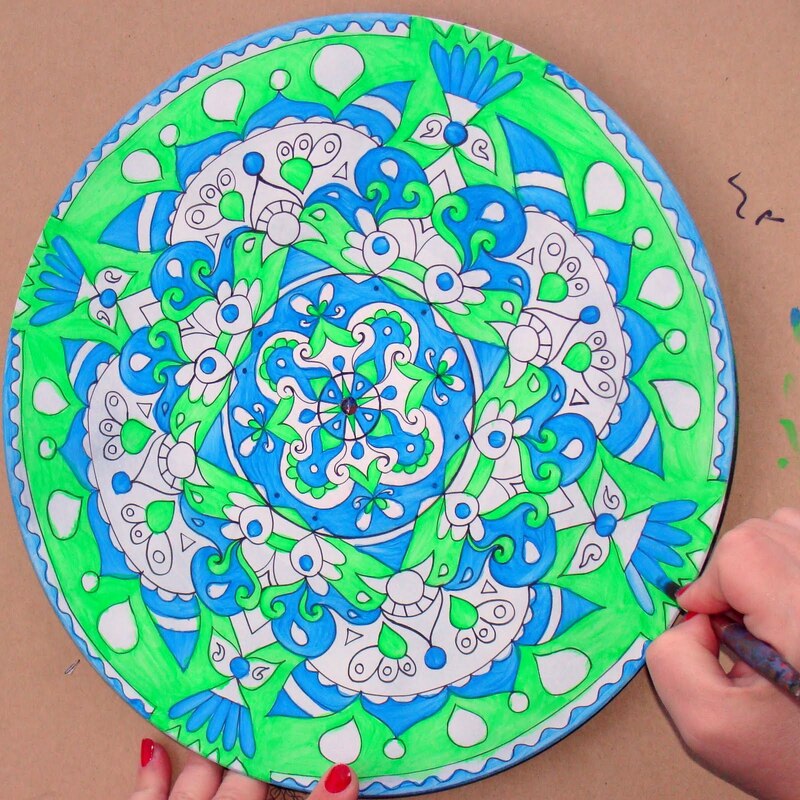 This green and blue piece is called Radioactive and it is one of two mandalas I created for a custom order on Etsy. 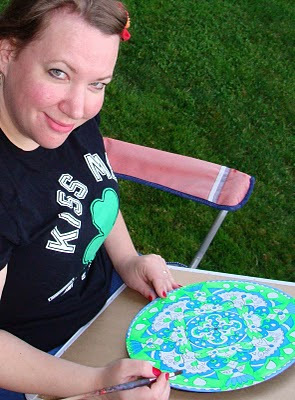 The awesome buyer (I love her for having the great idea that set all of this into motion!) 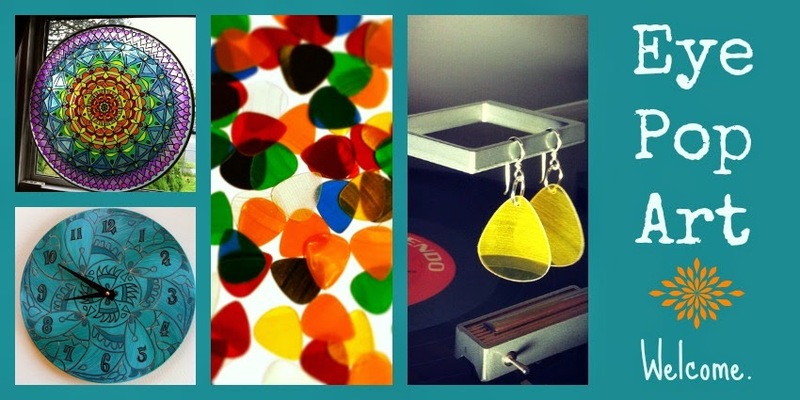 requested Turntable Art to give to her husband, a DJ and promoter, as an anniversary gift. 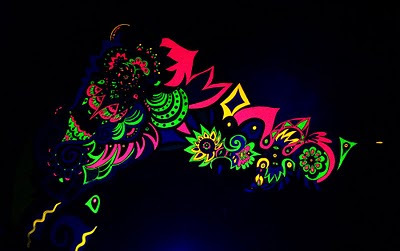 She asked, "Do you work with black light reactive paint at all? 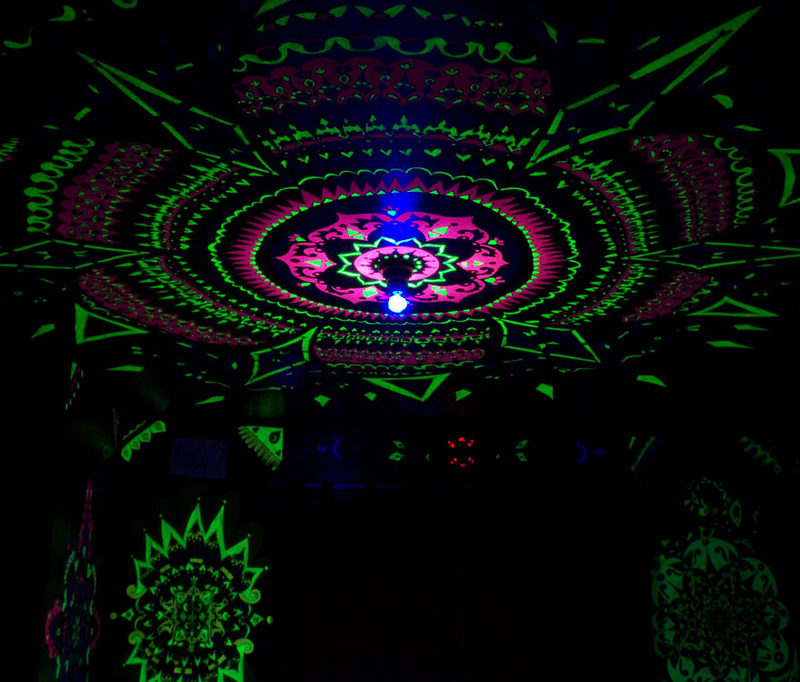 My husband is a DJ, psytrance being his favorite genre, and he decorates with black lights a LOT. 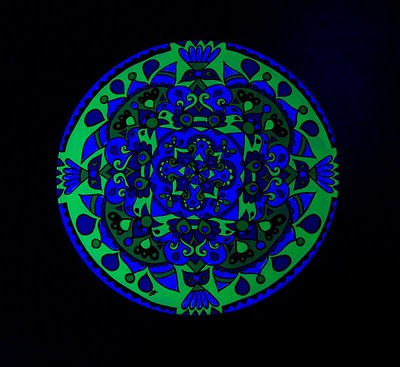 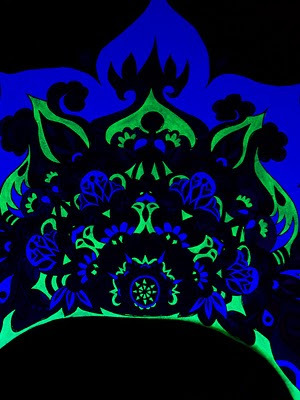 Your designs would look awesome under black lights." 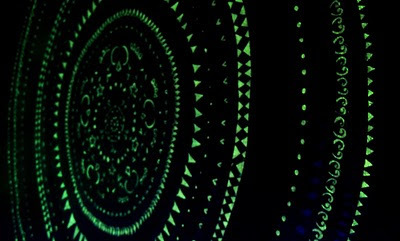 Well, of course I have been using black light paints and phosphorescent medium for ages and it's all over my bedroom/studio as well as on murals in our basement, and on several guitars, records, and other things that I've painted over the years. 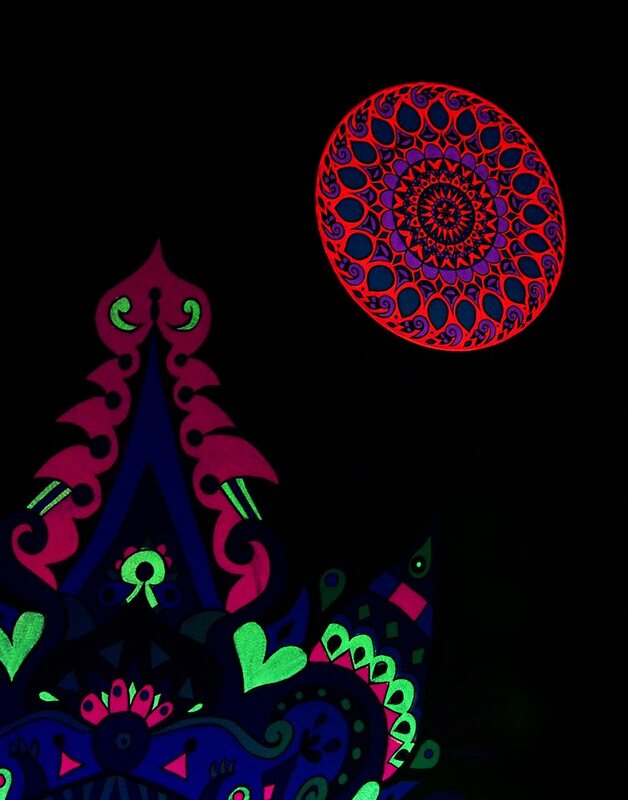 But I've never really promoted this aspect of my work, mainly because I didn't have any means to show it off (other than inviting people to come over to my house and check it out at night, which is not always a feasible plan!). 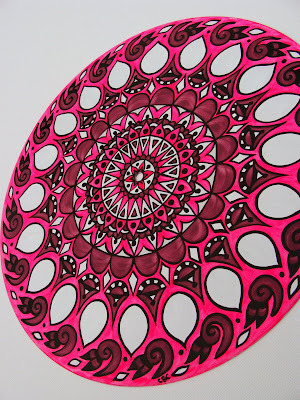 But once I got started on the order I knew that I'd have to find a way to get photos of these babies, because they are definitely going to be a new product line for Eye Pop Art! 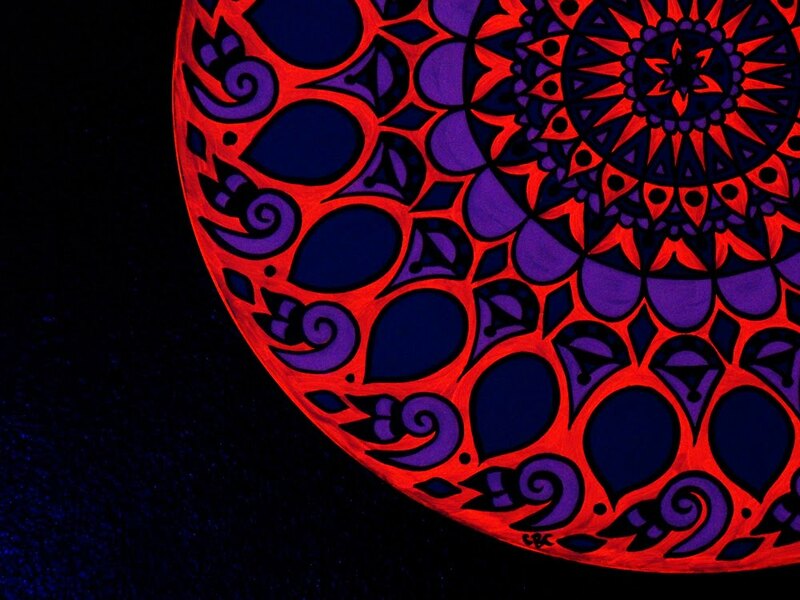 This last photo shows a little sneak peek of the OTHER record, which is called Ultraviolet. 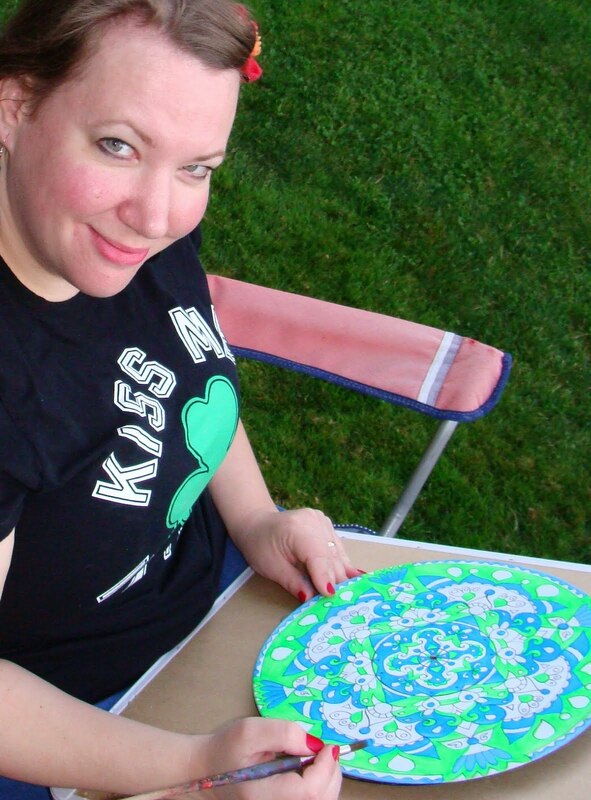 I will tell you more about that one in my next post. 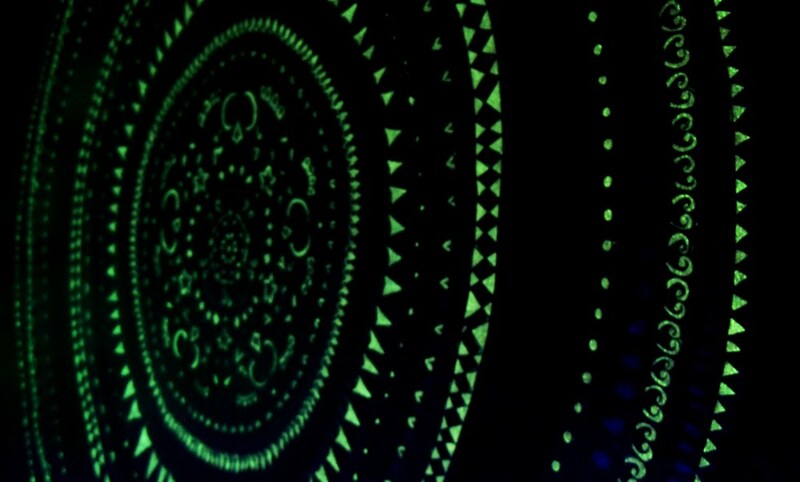 Hope you've enjoyed this little glimpse into my secret black light world...there's lots more to come!